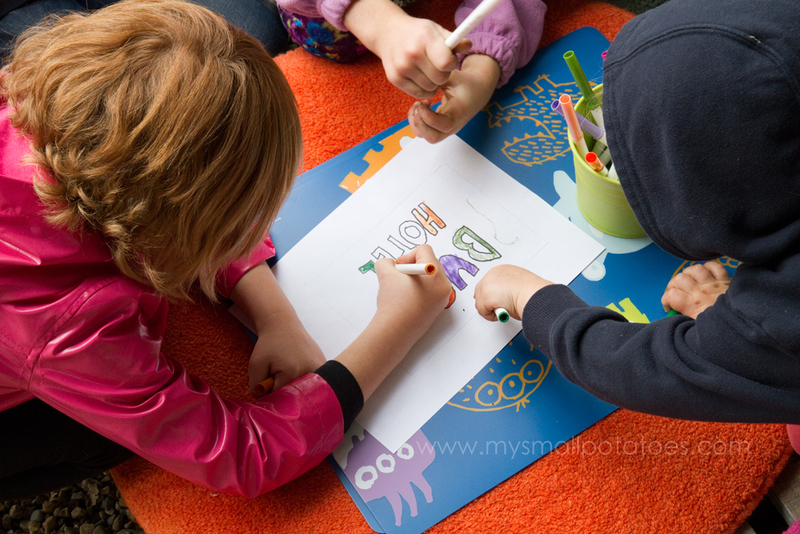 Children love to observe bugs…plain and simple. So this week, we all worked together to build the biggest bug attraction our backyard has ever seen: a bug hotel! It is full of nooks and crannies for insects and spiders to hide in. It is layer upon layer of natural buggy awesomeness! This project has been our most favourite. All the children were engaged and excited as we gathered all the bits and pieces to create a cozy home for all the bugs in our backyard. Firstly, we decided that the hotel would best be built in a crate of some sort. We used an old wooden wine box. 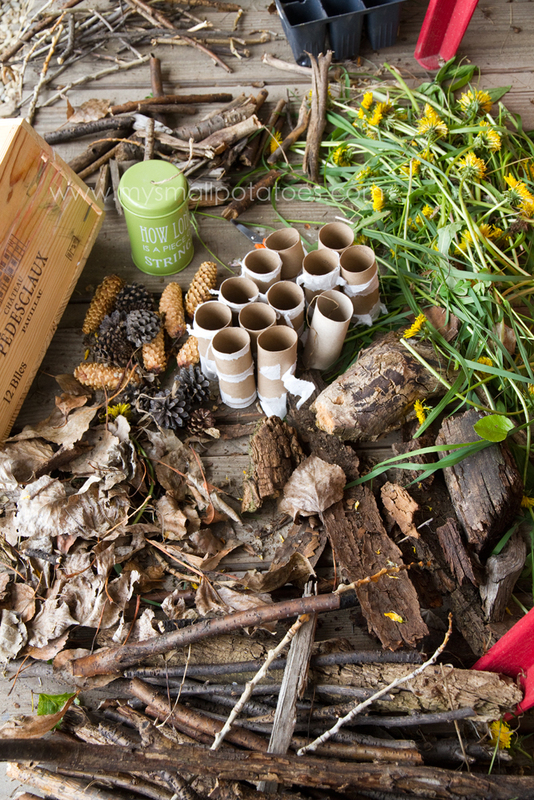 The children were very keen on using only natural elements in our bug hotel, so we went for a walk in the woods to gather the necessary supplies. 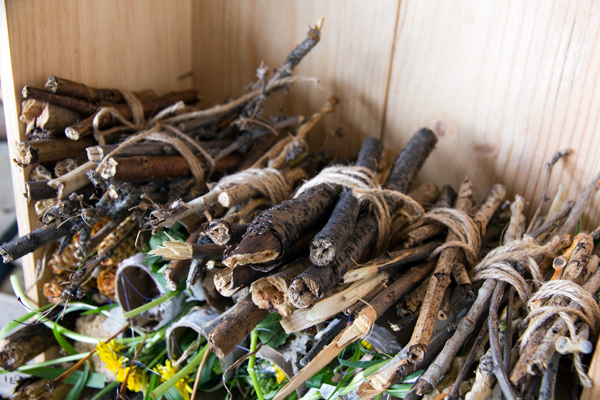 These supplies included fat branches, skinny twigs, dead leaves, bark, rotted chunks of wood, pine cones, weeds, and green and dried grass. 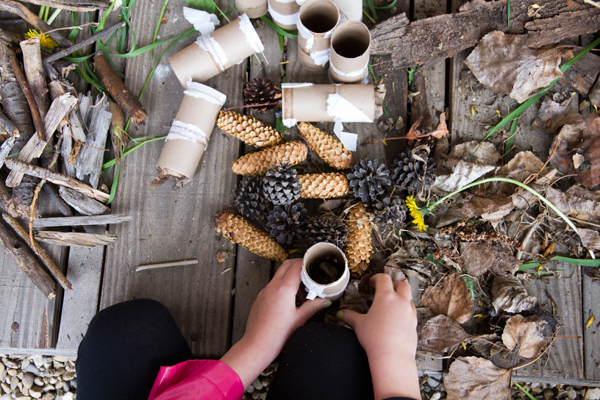 I suggested we use the plastic seed planter and empty tissue rolls to stuff with grass and leaves to create comfy bug “rooms”. 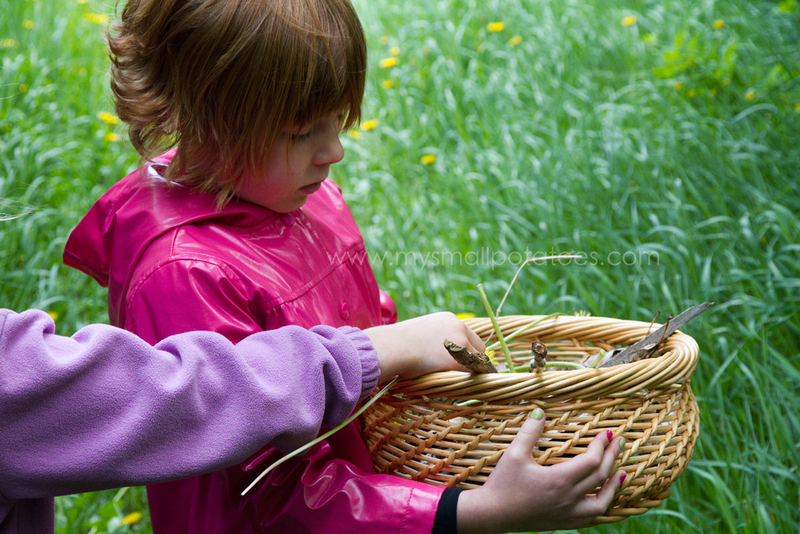 It’s always handy to have string and scissors are also handy to have close by when building your own bug hotel. For the full tutorial on how to build your own bug hotel, pop over to CBC Parents where we are sharing the entire building process! Happy Building, and thanks for stopping by! 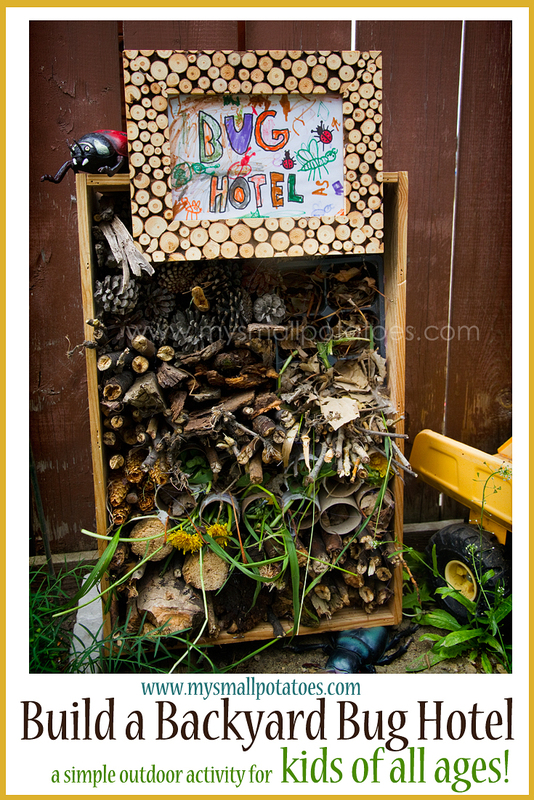 I like this bug hotel it will make such a nice project for my safari with children! :3 Very creative. I love this! I love this so much! It’s adorable! My dad and I used to build bug collections when I was younger, but I love this idea better!